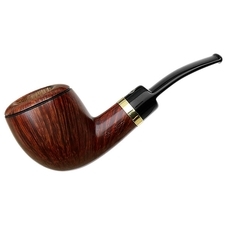 Though it sports a couple of tiny scratches on its bowl, this Ser Jacopo is a true collector's piece. 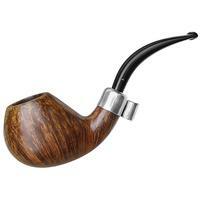 Coming from the Gem series, which presents some select briars with brilliant accents, this bent Pot has a lot going for it. 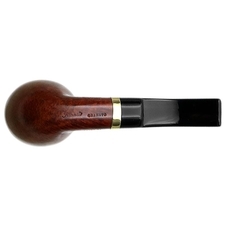 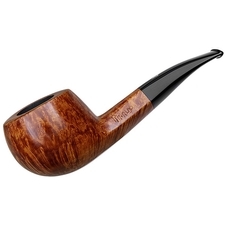 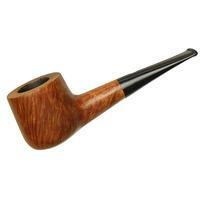 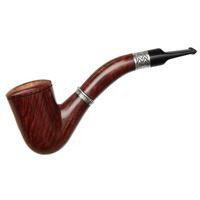 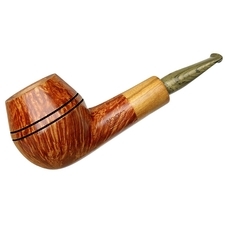 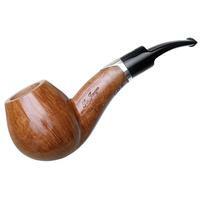 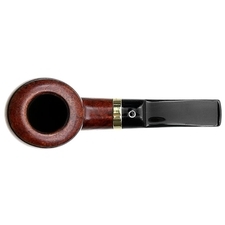 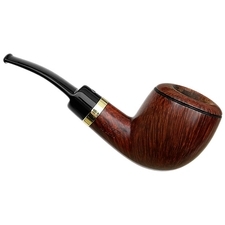 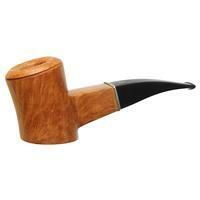 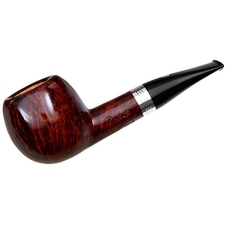 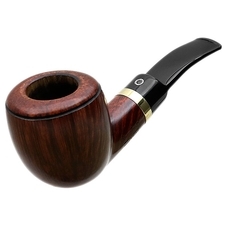 A tall, softly rounded bowl sports a good deal of chamber, and has been set to an abbreviated shank and curved stem for a rather compact form. 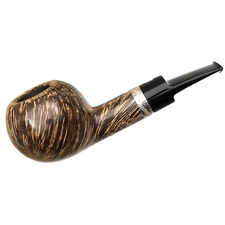 Some impressive flame grain climbs the bowl on all sides, highlighted in a warm contrast stain, and it's been topped with a band of 18k gold for an extra-elegant touch.